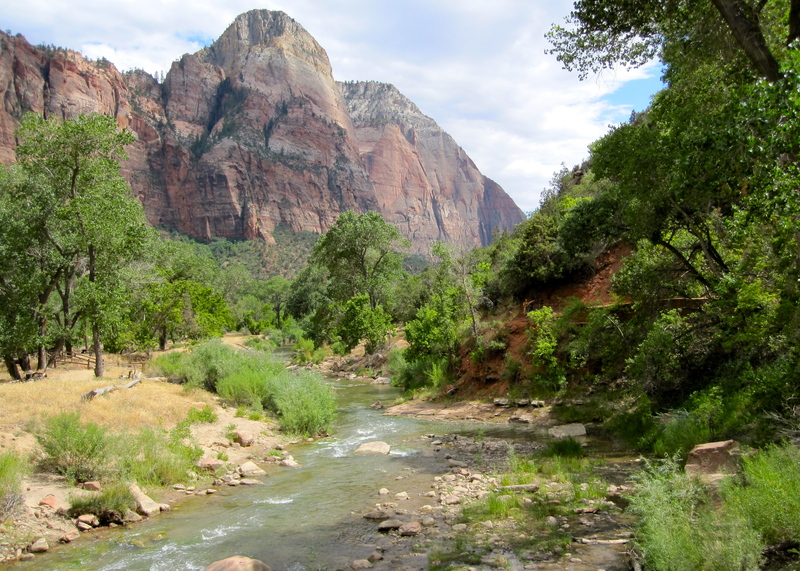 An image of Zion National Park, which I took during the road-trip mentioned in this entry. As I was driving home from Morro Bay this evening, a certain song came on that reminds me very much of the last vacation I took before I was married, and well before I had a child. It began to rain, and as my eyes adjusted to see through the wet windshield, I tried to pretend for a moment that I was that girl again, the one who took weeks-long road-trips by herself, and who could only find peace by watching everyone and everything familiar to her disappear in her rearview mirror. In my “former” life, I would search out God by thrusting myself into the unfamiliar, anxious for a beauty I had never seen, but in my present life I’ve found limitless beauty in the people that I am blessed to be so permanently bonded to, the home that I am so completely familiar with, and the simple pleasure of finding God in the day-to-day routine of my life. Upon arriving home and pulling into my driveway, I realized just how far I’ve actually travelled since my “explorer” days; no longer must I remove myself from the familiar to feel near to God’s heart, but rather I feel drawn towards home and the people who live there and the wild beauty of what we’re creating. My memory of my explorer days is a romantic one, but truthfully, my present life is so much more thick with God’s presence that the observance of my distance traveled brings peace beyond description. So cheers to the Adventure of Home, a journey I get to share right alongside my two great loves.